Please have a look to the Outdoor Pools in Lancashire swimmers like you have reported. Is your pool not listed? Contact us to ADD IT. It's free! We presently have the following Swimming Pools, but we are consistently grateful for any corrections or contributions. Get in touch through our contact form. Not all countries would be the exact same, and swimming regulations and rules are changing from one country to yet another. 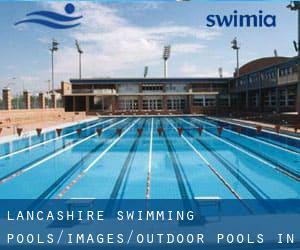 Looking for Outdoor Pools in Lancashire? Many of them belong to gyms or sport centers which also supply lessons. The ideal pools to swim are definitely indoor olympic pools. Please, use the contact details supplied at every pool profile. Holding an estimated population of 67.400, Rossendale is among the most important cities in Lancashire. Check all the Swimming Pool in Rossendale and its surrounding area. Swimming is a excellent idea to keep your body active in the course of your visit to Burnley (Lancashire), or perhaps for anyone who is a local. 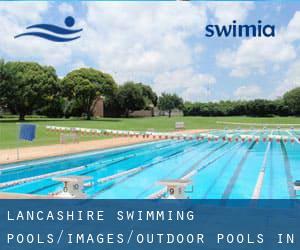 Swimia assists you to find your closest Swimming Pool in Burnley. It's difficult to visit Lancashire with out dropping by Fylde (with 76.500 residents). At present Swimia is showing you all the Pool in Fylde as well as the closest pools located in its vicinity. Let us tell you a secret to switch off whilst you're in Preston: just choose a Swimming Pool in Preston and plunge into the water! There's no additional productive technique. High St. , Hampton , London - West , England , UNITED KINGDOM (Postal Code: TW12 2ST). This sports center gives 36 meters x 14 meters, 6 lanes, Outdoors. Contact information for this Swimming Pool similar to phone number and email address are number. East Acton Lane , Acton , London - West , England , UNITED KINGDOM (Postal Code: W 3 7HB). This sports center gives 25 meters x 11 meters, 6 lanes, Outdoors. Contact details for this Swimming Pool such as phone number and email address are number. 161 Banks Rd , Sandbanks , Poole , England , UNITED KINGDOM (Postal Code: BH13 7QL). Among all the activities offered by the center, if you are thinking about swimming you can expect to enjoy 17.5 meters x 6.5 meters, 1.1 meters - 2.2 meters depth, 1.1 meters - 2.2 meters depth, Outdoors. Just in case you want to make contact with this Swimming Pool before dropping by, we only know the phone number. 32 Endell St. , Bloomsbury , London - Central , England , UNITED KINGDOM (Postal Code: WC2H 9AG). This great and large sports center lets professional swimmers like you enjoy 27.5 meters x 9.8 meters, 3 lanes, 0.9 meters - 3.5 meters depth, 0.9 meters - 3.5 meters depth, Outdoors. Additionally, within these facilities you can try 25 meters x 8 meters, 3 lanes, 1 meters - 2 meters depth, 1 meters - 2 meters depth, Indoors. Unfortunately we do not have the e-mail address of this Swimming Pool, but we can give you the phone number. Oakfield Place , Clifton , Bristol , England , UNITED KINGDOM (Postal Code: BS 8 2BJ). This sports center gives 25 yards, Outdoors. Contact details for this Swimming Pool such as phone number and email address are number. 269c Woodstock Road , North Oxford , Oxford , England , UNITED KINGDOM (Postal Code: OX2 7NZ). Few days ago a typical user of this center told us they offer 25 meters x 8 meters, 3 lanes, 1.5 meters uniform depth, 1.5 meters uniform depth, Indoors. Furthermore, they keep in good conditions 20 meters x 8, Outdoors. For this Swimming Pool, only phone number is number here. Drayton High Road , Hellesdon , Norwich , England , UNITED KINGDOM (Postal Code: NR6 5DU). Swimmers like you have reported 25 meters x 18 meters, 3 lanes, Indoors. Also, you will find 20 meters x 8 meters, Outdoors. Just in case you wish to get in touch with this Pool just before dropping by, we only know the phone number. Jesus Green off Chesterton Road , Beside the River Cam , Market , Cambridge , England , UNITED KINGDOM (Postal Code: CB4 3BD). Swimmers like you reported 100 yards x 45 feet, 1.2 meters - 2.5 meters depth, 1.2 meters - 2.5 meters depth, Outdoors. Phone number and e mail address are number for this Pool.